Statistics show that the use of digital media is on the rise, says Sean Pretorius, digital project manager for RED-i (Real Estate Development Interactive), who specialise in creating systems for property developers to streamline their sales and development management processes, and this shift, he believes, brings with it a host of new opportunities and challenges. “In the marketing space, digital marketing spend is steadily increasing in relation to traditional marketing each year, with good reason. As our workplaces, homes and lives become more connected we can’t avoid the new mediums that engage us,” he said. Property developers can maximise their ROI (return on investment) in digital spend by following a few simple, yet often overlooked, steps. Prepare and research: before embarking on creating a web presence, do your homework and explore the market, find examples of websites you like and list why you like them. Find examples of websites you don’t like and list why you don’t like them. List your primary objectives and the goals you would like your digital presence to achieve.Focus on the content: categorise and list the content structure based on what you have. Enlist the help of a content strategist to help you fill in the blanks and guide the remaining process.I recently attended the Content Strategy Forum at Spier which offered a wealth of knowledge from some leading international experts including Mailchimp, Facebook, Ebay, Yahoo and Opera. The common thread and significant take home message was the often overlooked importance of content – the structure, tone and delivery mechanism all combine to be the key in your marketing strategy. Overlooking this can be very expensive in that it will affect your success,” said Pretorius.Following these steps will allow your digital service provider to better understand what you have and what it is you would like to achieve. Go responsive: the proliferation of mobile devices (tablets and phones) will continue to grow in the coming years. Statistics show that mobile internet usage is expanding at a rapid rate, mobile page views in Africa almost doubled from 2011 to 2012 (source). While Africa (because of its uncompetitive ADSL pricing) and Asia are leaders in this growth, this is a global trend that cannot be ignored, said Pretorious.Responsive design simply means your web presence is crafted to adapt its display to suit the size of any device – desktop, laptop, tablet, mobile phone, etc. One website is created that works across all devices, saving on the cost of building or updating separate mobi sites or applications. Digital marketing mediums: social media has been the buzzword for the past few years. While these mediums are good at providing alternate channels for your brand, the key to maximising your reach and engagement is to deliver interesting and valuable content and create two-way conversations about topics that really matter to your audience.Encourage your users to subscribe to your email newsletter and fill this with content that will enrich its subscribers. At RED-i we craft both the website and newsletter template to be easily editable by our clients, empowering them to update their web content plus create and send their own communications easily while reducing their overall spend.Portals and property listings: list your properties and developments on property portals to extend your reach even further. Analytics: all digital media can be measured; this is part of this medium’s power. Track your website, email newsletter and social media engagement and patterns. Use this knowledge to adapt and fine-tune your content to what your audience is engaging with. “At RED-i we also track user analytics on all of our products such as the Interactive Sales Map, allowing us to pinpoint which pockets of real estate are showing more interest than others. 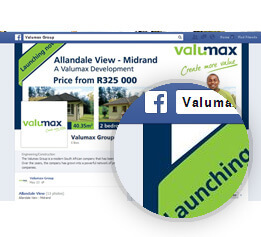 We direct all marketing leads into our leads profiling system where sales agents can view the users’ units of interest and engage with clients in a pertinent way,” said Pretorius. “Previous experience shows that when sales were steady developers were happy to keep things static, but if the sales numbers weren’t at the levels they needed, their marketing spend needed to be increased or new avenues had to be found to increase leads. The digital marketing arena now allows developers the opportunity to analyse their product and market interest and, more importantly, to gauge how effective their ad spend is,” said Andrew Kumm, a RED-i director. “Digital marketing has the potential for a much broader reach than traditional marketing and can be far more cost effective than the traditional methods. Following some basic best practices and ensuring that the content you broadcast has substance can mean the difference between a website that exists and is never visited or an integrated digital marketing ecosystem that your users share, engage with and thrive on,” said Pretorius. For further information on RED-i’s systems and offerings, contact Sean Pretorius or Andrew Kumm on 021 702 2302.